I have put together a Special Blend of Old English Hop Varieties for home brewing. I might be sticking my neck out, but it is a risk I wanted to take, to try out something original and hopefully offer a fresh concept to the home brewer. After all it is hop-picking time and it’s easy to get carried away breathing in all that heady hop aroma all day! Blending – well they do it with tea, whiskey and wine, so why not for beer? Slightly off piste? Not really, commercial brewers do it all the time by mixing their chosen hops in the brew tank! 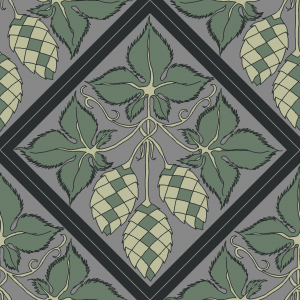 So new for this year we are offering for the first time our unique Special Blend of Old English Hop Varieties for home brewing. This Special Aromatic Blend contains a selection of the following 5 heritage Old English aroma hop varieties, Mathon (1729), Cobbs (1881), White Grapes (1822), Early Bird (1887), with a few young Fuggle hops (1875) popped in for good measure. 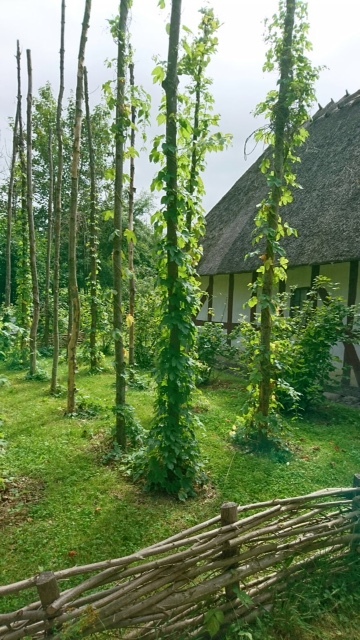 These historically important hop varieties were picked and then mixed well before drying in a traditional oast house. In the 1919 book ‘English Hops’ by George Clinch, he describes each of these Old English Varieties as having good flavour and/or aroma favoured by brewers. Julian Healey also gives an account of these varieties from a brewing perspective, in his informative and excellent modern day ‘Hops List’. 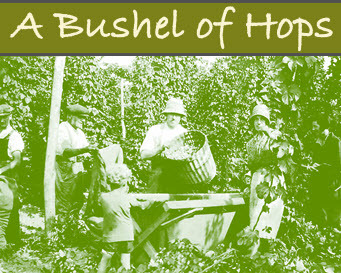 At a Bushel of Hops we are growing modern and heritage hops specifically for the home brewer. It is the selection of hop varieties in this blend that is unusual. They are hard to source as apart from Fuggles, rarely grown commercially today. I hope this specific blend of old english hop varieties for home brewing will appeal to a few more adventurous home brewers. This blend is a trail run only, therefore limited to only 8 x 100gm packs which will be available once the shop is open at the beginning of October. If the mix does generate a little interest then it could be repeated next year. As well as individual hop varieties I would like to offer a couple more special blends next year – I already have some exciting ideas for combinations of different heritage hop varieties. Perhaps a ‘20th Century Aromatic Variety Mix’? or maybe a pick of varieties with a shared parent? Each chosen combination would be very different to each other. 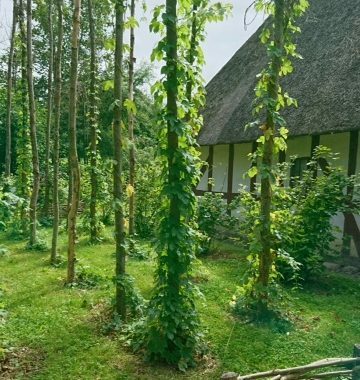 Meanwhile, whilst on this historically hop growing theme, I was sent a photo recently which Jane took whilst in Denmark this summer. I didn’t know anyone still grew hops on the pole system. A delightful image, grown like this they look like a really neat fairy-tale hop forest, reminiscent of how they were grown here before the permanent wirework system prevailed. For more pictures of pole work scroll down to photos 6 and 7 on this link. They were taken in Davenport, Delaware County, USA, coincidentally around the same time as the hops chosen for our Special Old English Hop Blend were also being grown here in UK. If you like old rural photographs you will probably enjoy looking through the whole link.